1. candidates who are willing to apply for GSCSCL vacancies 2019 should hold graduate / post graduate / master degree from any recognised university / institute. You are advised to check the official notification to check the age limitation, given in below section. 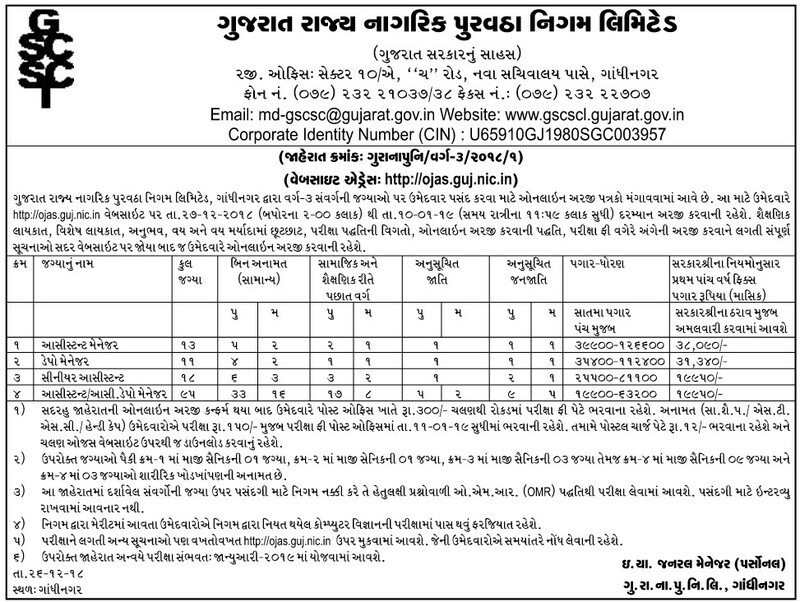 All those candidates who are meeting eligibility criteria must apply for GSCSCL jobs 2019. Candidates need to submit application form with complete information and attach all necessary documents then submit it as per official instruction. For more details to apply please check the official notification given below.